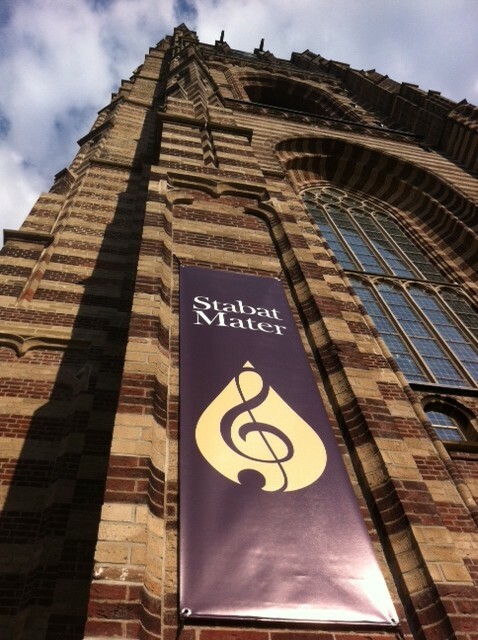 The Stabat Mater foundation was established in 1998 by a number of music lovers. In 2013 we celebrated our 15th anniversary. In this time we can say that it has become somewhat of a tradition. This is shown by the many visitors that we attract annually. More than 2200 people from all over the country came to our weekend concerts. We are particularly pleased that the Brabant county council has acclaimed the concerts as “… an icon of the cultural image of Brabant”. The foundation aims to bring a weekend of high quality concerts each year two weeks before Easter, the beginning of Passiontide. There are performances from various composers in an Eastertide setting. These performances are at a highly professional level and must have presence and impact. The musical experience of this religious elegy is central. The theme of “grief of a mother for the pain of her child” is timeless. Our concerts provide a space for religious contemplation, personal reflexion and existential sobriety in a theatrical setting. 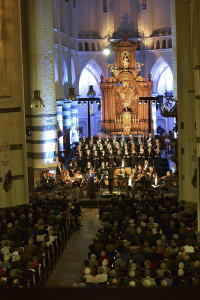 With these concerts the foundation brings a broad cultural offering to the province of Noord-Brabant. However, our ambition reaches further: the foundation would like to emphatically profile itself nationwide. The Stabat Mater in the town of Oirschot is indeed a high point on the Dutch musical calendar. A complete list of the works performed up to now can be found on http://www.stabatmater.nl/uitgevoerde-werken/, while http://www.stabatmater.nl/beeld-geluid/ contains a number of video impressions. The ‘Stabat Mater’ is a liturgical poem, in which compassion and grief are being expressed while looking at Maria crying at the Holy Cross, bearing her deceased son. This theme can also be given a more universal meaning of sympathy with the suffering fellow man. We do not know who wrote the text. Most of the times, Jacopone Benedetti da Todi (1228-1306) is being referred to as the author. Early last century, the German musicologist Clemens Blume added the Englishman John Pecham (1230-1279), then Archbishop of Canterbury, to the list of possible poets. In 1957, an essay of the musicologist Hélène Nolthenius was published, in which she referred to the Franciscan friar Giovanni Fidenza (= cardinal Bonaventura, 13th century) as the possible writer. Whoever the poet may be, as early as from the Middle Ages the Stabat Mater has been one of the richest sources of inspiration for composers. No wonder that the poem has been put to music many times throughout the ages. Virtually all famous composers have a composition written to their names. The foundation has a Board and also an Advisory Committee. The day to day running of the foundation is in the hands of the business manager. Marlies Timmermans-van Leeuwen was named the Business manager of the foundation as of 1 September 2014. Under her leadership various people work on the preparation and production of the annual concerts. Together with the administrator (Manja Keij) and the production manager (Roel Rutten) all the necessary preparations are carried out. Alongside them work various third-parties and volunteers. We are also supported by Pastor Spijkers and his team from Saint Peter´s Cathedral as well as the Oirschot Council.